Stock Exchange: How Soon Will Tax Cuts Be Forgotten? Our previous Stock Exchange described the importance of knowing when to fold your losing trades. This can be just as important as knowing when to let your winners run, and it can be disastrous if you get it wrong. If you missed it, a glance at your news feed will show that the key points remain relevant. This Week: How Soon Will Tax Cuts Be Forgotten? The general view seems to be that tax reforms out of Washington DC are responsible for the market’s strong performance in recent trading sessions. 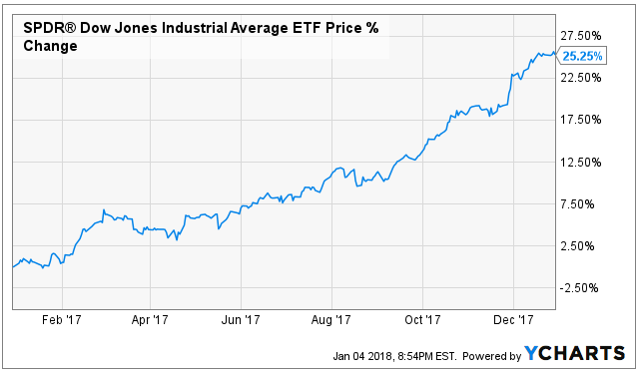 But will the economy ultimately benefit enough in the long run to warrant recent market price gains, or has the market gotten ahead of itself considering the Dow was up 25% in 2017 and already another 1% this year? According to Ben Graham, the father of Value Investing, the market is a voting machine in the short run, but a weighing machine in the long run. Lower corporate and individual tax rates will presumably make US companies more competitive globally, as well as leaving more money in the pockets of individuals; both have presumably reduced selling pressure and contributed to recent market gains. In some sense, we agree that the tax cuts will “equilibrate across all companies,” but “sustainable, competitive advantage” isn’t all that matters. Our traders generate profits based on factors such as momentum and mean reversion that often play out over a matter of weeks. 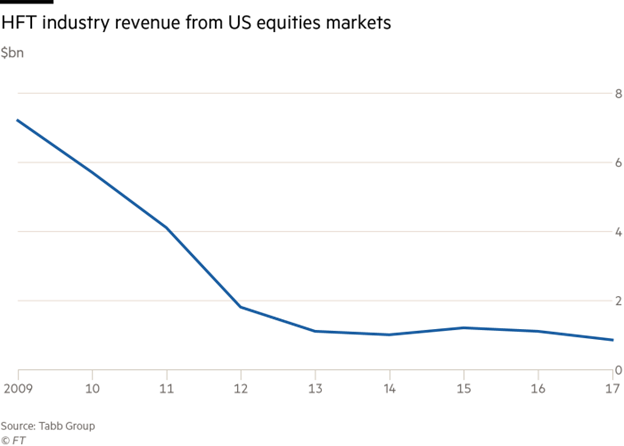 And regarding time frame, this article from the Financial Times explains why high frequency trading revenues are drying up (e.g. smaller volumes, less volatility, and higher costs). Our trading models are not based on high frequency trading, nor are they based on long-term buy and hold. And while our trading models don’t read the news, they do however follow those who do. 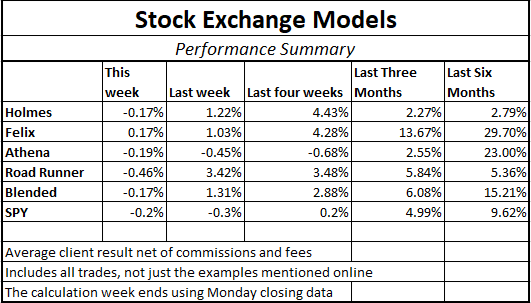 Per reader feedback, we’re continuing to share the performance of our trading models, as shown in the following table. Importantly, we find that blending a trend-following / momentum model (Athena) with a mean reversion / dip-buying model (Holmes) provides two strategies, effective in their own right, that are not correlated with each other or with the overall market. By combining the two, we can get more diversity, lower risk, and a smoother string of returns. Athena: This week I like Valeant (VRX). Are you familiar with this stock, Blue Harbinger? Blue Harbinger: Yes, I am familiar. If you recall, RoadRunner picked Valeant back during the week of December 18th. Valeant is a pharmaceutical and medical device company focused on eye health, gastroenterology and dermatology. Why do you like this stock, Athena? Athena: I am a momentum trader. And you can see why I like this stock based on the following chart. 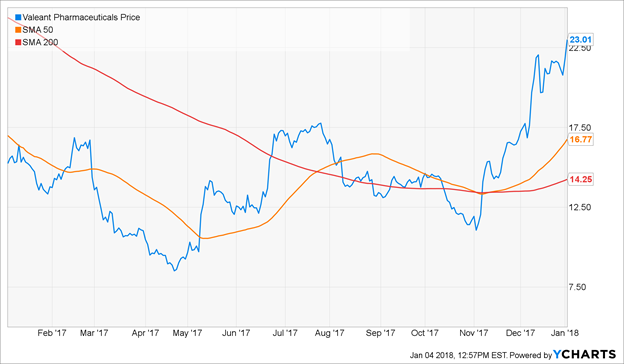 BH: That’s an interesting chart Athena, but it only goes back about a year, and you do recall Valeant was trading at over $250 per share in 2015, to around $23 per share now, correct? BH: What is your typical holding period Athena? Athena: I typically hold my positions for about 17-weeks. For risk control, I use price targets and stop orders. 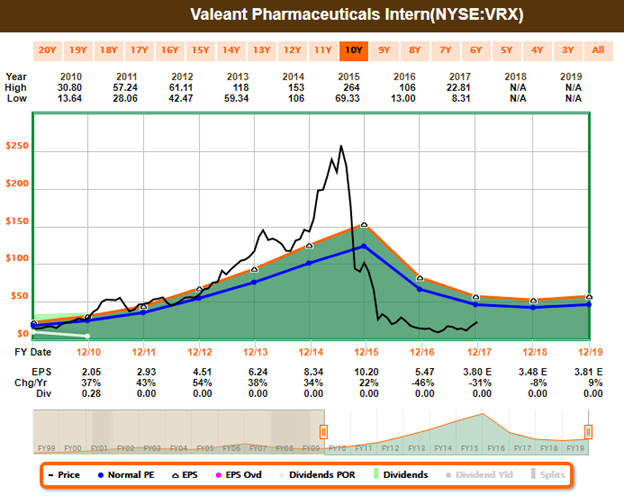 BH: What do you think of Valeant’s big debt load? Do you think the company will be able to work through it? And how about the high short interest—recently over 10%–does that make you nervous? Athena: I am aware of the debt load, but honestly I’ll be out of this trade in a few months, long before most of the debt story plays out. And regarding the short-interest—I don’t mind. In fact, sometimes a good short-squeeze works out well in my favor. BH: Well if you like more data, here is a look at the FastGraph, from Chuck Carnevale. Lots of good fundamental data. It also shows just how dramatic the price decline actually was. Athena: Thank you, Blue Harbinger. But I will stick to my objective model-based approach. It has been serving me well, as shown in the earlier performance table. BH: Thanks, Athena. How about you Felix—what have you got this week? Felix: I don’t have any trades this week, but I did run the High Liquidity S&P Midcap stocks through my model, and you can see the top 20 rankings for this week in the following list. BH: That is interesting Felix. I recognize some of the names on your list. But remind us, what is your trading style? Felix: I am a momentum trader. And I typically hold my positions for about 66 weeks—which is much longer than the other models. I exit when my price target is hit, and I use stops and macro considerations to control risks. BH: That makes sense. How about you, Oscar—what have you got for us this week? Oscar: This week I’m sharing my top ranked diverse ETFs. The following list includes my top 20. BH: That is a very diverse group of ETFs on your list, Oscar. I recall from our previous conversations that you are a momentum trader, you hold for about 6-weeks, and you control risks with stops and by rotating into a new sector. 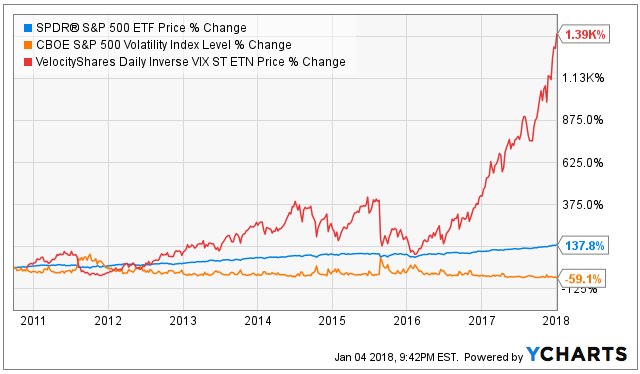 I see the Velocity Shares Inverse VIX ETN (XIV) is at the top of your list. That’s an interesting one, and I know a lot of traders have been making a lot of money for a lot of years in a row now by betting market volatility will keep declining. But with the market fear index (the VIX) currently at only around only 9.2, aren’t you afraid volatility will spike and this trade will go against you? Oscar: It’s the exact fear that you are exhibiting that has allowed traders to make a lot of money on this trade. Besides, I have stops in place on my trades, and I’d get stopped out if this one moved against me. And considering the continuing positive impact of tax reform, I like this trade even more. By asking how soon will tax cuts be forgotten, we’re really asking multiple questions. First, how soon will market prices recalibrate to fully reflect all tax law change information? Second, will the tax law changes strengthen the economy enough to warrant recent price gains? And third, how many years into the future before Washington DC starts unwinding the tax law changes and increasing tax rates again? Regardless of these questions, we believe the market continues to create attractive trading opportunities for our models to exploit. Specifically, we find that our blended trading approach provides strong returns while diversifying risks in a strategy that has a low correlation with the overall market. any reason Oscar is not in the performance table?